NFC Smartphone Chip Shipments in 2012 Surge Past Projections | NFC Times – Near Field Communication and all contactless technology. Chip maker NXP shipped 125 million NFC chips in 2012, above projections. 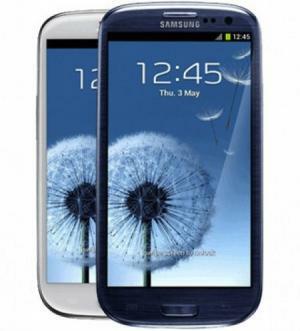 It's biggest buyer for the technology was Samsung Electronics and the device maker's Galaxy S III. NXP Semiconductors shipped 125 million NFC chips in 2012 for smartphones and tablets, the chip maker told NFC Times, beating projections for the NFC device market. NXP estimated competing chip makers shipped another 25 million NFC chips for smartphones and tablets in 2012. If true, the combined chip shipments would translate into shipments of about 150 million NFC-enabled smartphones and tablets for 2012 and represent more than 15% of total smartphone shipments estimated for the year. Previous projections from analysts had placed NFC smartphone shipments at around 100 million for 2012 from all suppliers. The total NFC device market in 2011, its first significant year, was about 40 million smartphones. Article has about 1340 words.